◆ Micro-serrations can hold the object without slippage such as Aramid fiber, plastic plate, etc. 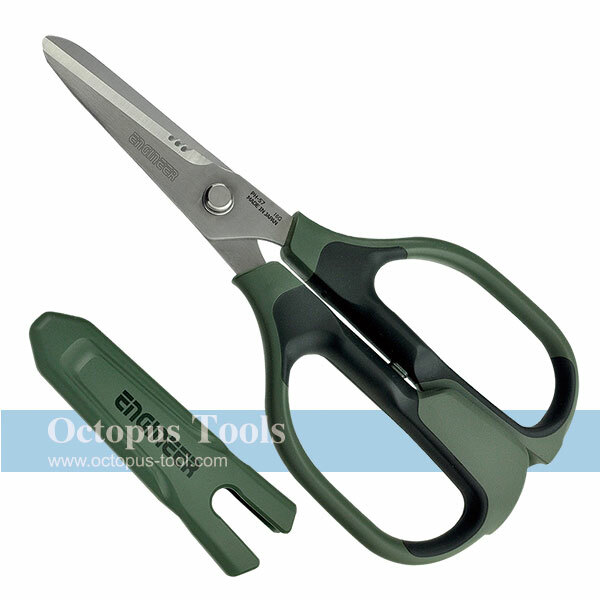 ◆ U-shaped blade is ideal for cutting power supply cord, coaxiale cable, rope, etc. ◆ TPR cushioned handles provide comfort gripping. ◆ Finger pinch overlapping guard prevents fingers from being pinched. * Do not apply copper or steel wire to the Micro-serration to prolong the life of blades. * Heat-treated or specially-hardened wire is not applicable for cutting. It may damage the blades. ◆ 5g Power Glue and 7g Welding Powder are included in this two-part adhesive. ◆ Bonds instantly, can be used on concrete, metal, plastic, rubber, wood. ◆ Great and practical tool for repairing, filling holes, cracks and gaps. ◆ Moreover, it's water resistant. After bonding, the forming part can be drilled, tapped, filed, and painted.